The Lusty Horde. A band of warriors gathered across space and time and length and width and girth to bring you a fully-improvised sci-fi fantasy adventure beyond your imagination. Combining the best (and worst) of popular culture, midnight movies, 80s cartoons, and schlocky horror, The Horde weaves a hilarious intergalactic tapestry of thrills, action, and laughs unlike anything you’ve ever witnessed. So join the Hordesmen as they ride forth to improv glory. The legends are true! SO SAYETH THE LUSTY HORDE! Founded in 2007 in Los Angeles by seasoned improvisers David Park, Tim Jennings, Andy Trask, and Brendan McLoughlin, The Lusty Horde has entertained eager audiences from iOWest to The Westside Comedy Theater, Nerdist Showroom, and beyond with their signature brand of long-form genre improv. Tim Jennings was born and raised on the South Side of Chicago where he developed a taste for urban slang, gang violence, and life on the streets. In 2002, he relocated to Los Angeles where he’s performed with iO West groups Operocka and Trophy Wife. 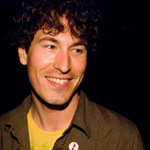 Writing credits include X-Play on G4, and Mind of Mencia for Comedy Central and head writer for The Soup’s Blog on E!. Kevin McShane is a native of Bethesda, MD. While at Oberlin College, he co-founded the long-running improv comedy group The Sunshine Scouts. He earned an MFA in Film at Florida State, where he won several Student Emmys for his work in front of and behind the camera. Past improv credits include long-running LA improv comedy shows Trophy Wife and Middle Seat. He is currently a video producer at BuzzFeed. David Park was born and raised in Dallas, Texas. A graduate of Colgate University, Dave performed with the improv group Charred Goosebeak. 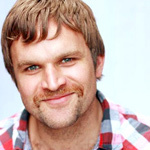 He has studied at iOwest, The Second City and UCB and performs regularly in such groups as Dr. God and The Friday Forty. 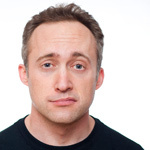 He has written for and/or appeared on IFC, AMC, Comedy Central and the TV Guide Network.